Walker Evans presented an exhibition in MoMA in 1938 comprising one hundred photographs and the publication of the book American Photographs, earning him the consolidation of his style and standing. After the acclaim he received through the show, Evans began to question success and recognition and started to treat his reception in official institutions like the Farm Security Administration and MoMA with suspicion. 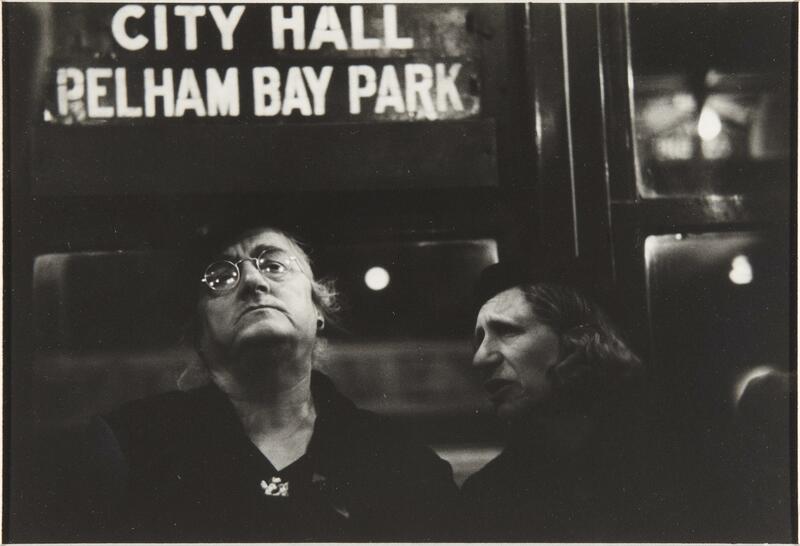 After 1938, Evans, who pioneered a simple documentary style, launched himself into a project he had been considering years before: the series of portraits of passengers on the New York subway, which he worked on until 1941. The series’ major achievement lies in the methodology and the conceptual framework that defines it; with a 35mm camera – which he carried hidden under his jacket, with the lens poking out between the buttons - he created compositions that relied on nothing more than chance and intuition, relinquishing framing and lighting and the use of the flash, which could catch the attention of those being photographed. The only thing he controlled was the moment he pressed the shutter-release button. This method, which he executed in the company of his friend, Helen Levitt, posed a technical challenge and forced him to become invisible to avoid his models feeling self-conscious in the presence of the photographer. The role of chance and fate in photographic practices had been a subject of discussion since the invention of portable cameras in the early 20th century. The proliferation of candid photography in the 1930s and the evolution of small-format cameras saw Evans experience, via this series, the kind of potential and effectiveness of intuition in photography that would go unnoticed until the 1950s. The subway, his chosen setting, was a symbol in the 1930s that not only balanced society but also neutralised the individual. Lost in thought, the subway passengers were conveyed exactly as they were, with none of the masks or artificiality that was prevalent in other types of portraits. This gratified his attempt to objectively and spontaneously document anonymous people – and their emotions – in their daily lives.